Hi! 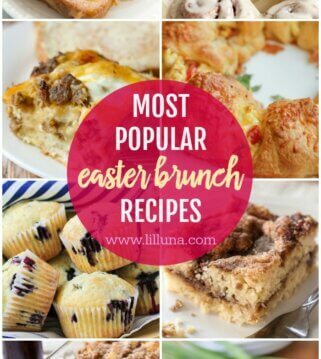 I’m Michelle (or Ellie) from My Belle Michelle, and I am SO excited to be teaming up as a contributor here at Lil Luna this year. 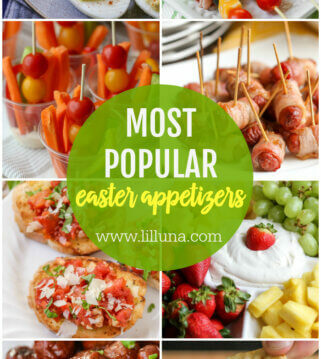 I have loved her cute ideas for ages and am thrilled to have the opportunity to share of some of my own ideas here! I am always looking for cute, fun things to do with my kids during the holidays. 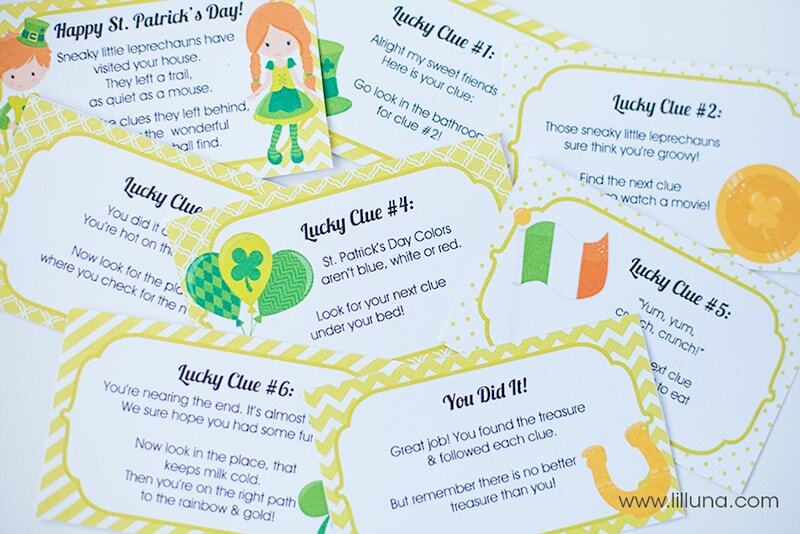 I remember going on little scavenger hunts and treasure hunts as a kid, and thought it would be a blast to do a St. Patrick’s Day themed treasure hunt for the kids this year. I made up cute “Lucky Clues” for them to find, and at the end of the hunt I made a cute “treasure” bag topper to go with the reward they find. This is a very quick and easy activity that just took me a few minutes to do. 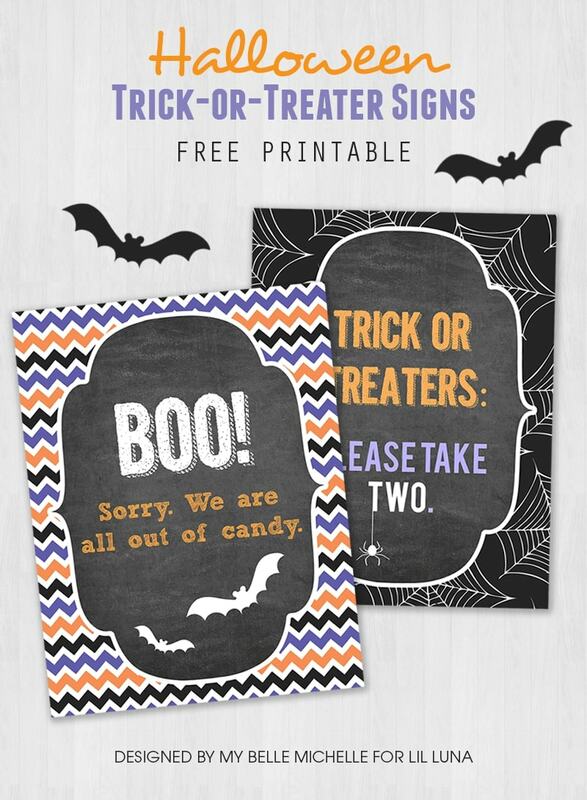 I just printed off the clues and cut them out, and did the same for the treat bag topper. 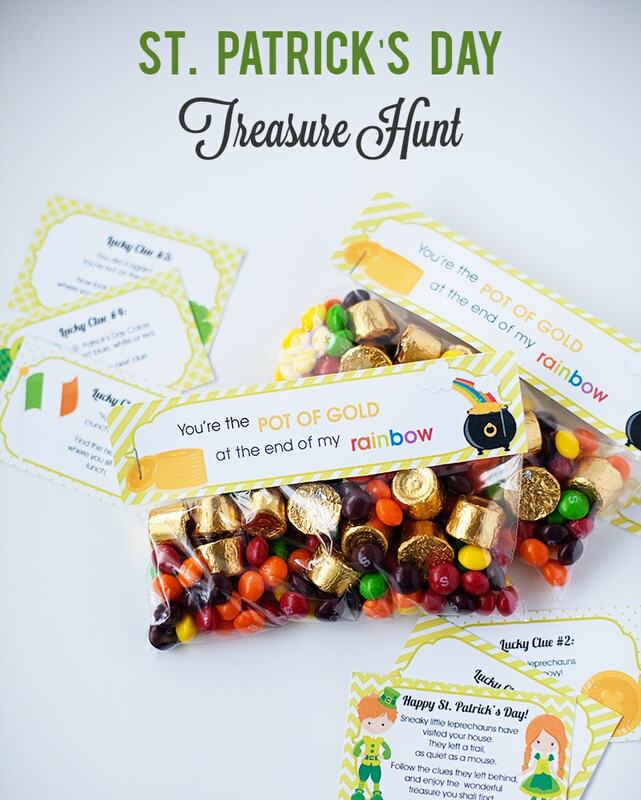 Fill a snack-sized ziplock bag with whatever treasure you would like to use, and staple the bag topper over top. Easy & fun! 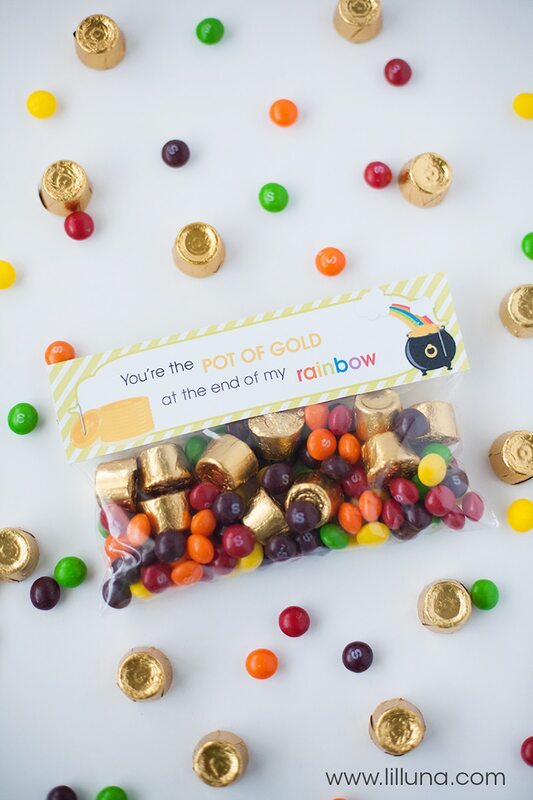 I like the idea of keeping with the theme of St. Patrick’s Day and Leprechauns, so for my treasure I chose to do rolos for my “pot of gold” and skittles as my “rainbow”. 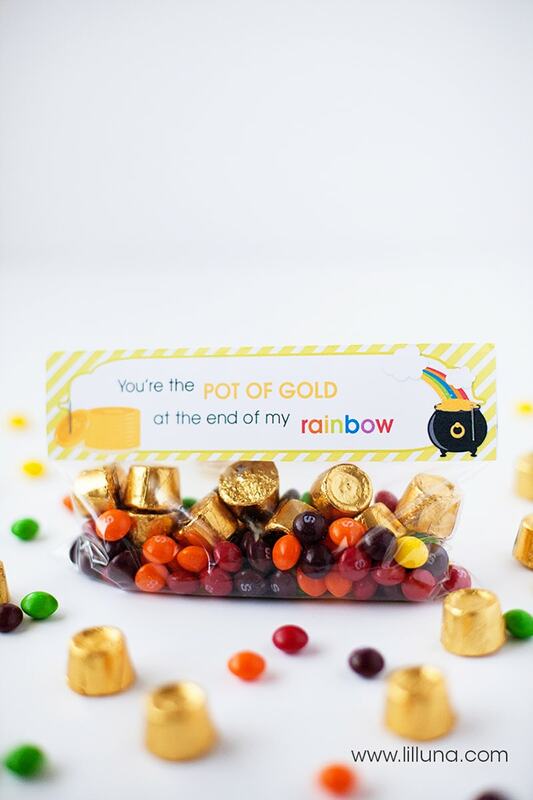 I have also seen a lot of cute ideas with using rainbow-colored Twizzlers as part of the rainbow theme, or using actual gold-foiled chocolate coins. 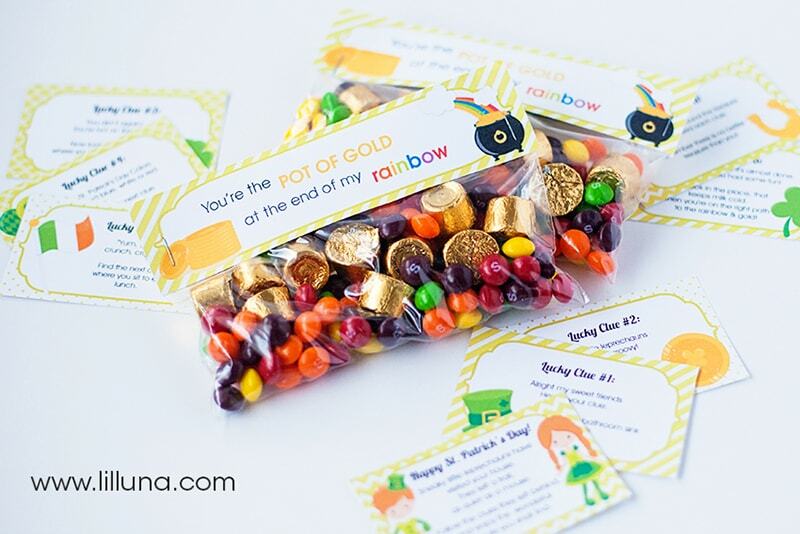 There are a lot of fun ways to incorporate the rainbow & gold theme! Hope you enjoy. 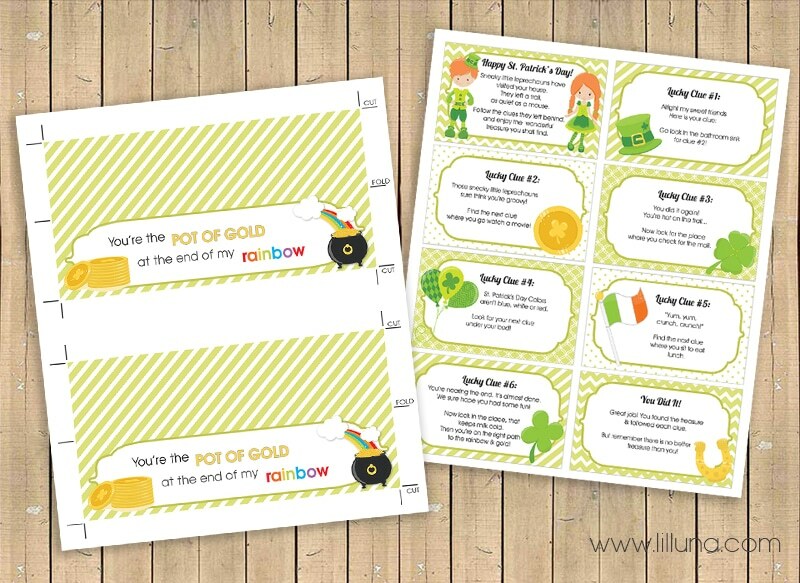 You can download the St. Patrick’s Day Treasure Hunt Clues HERE and the Pot of Gold Treat Bag Topper HERE. Oh, I LOVE this idea! 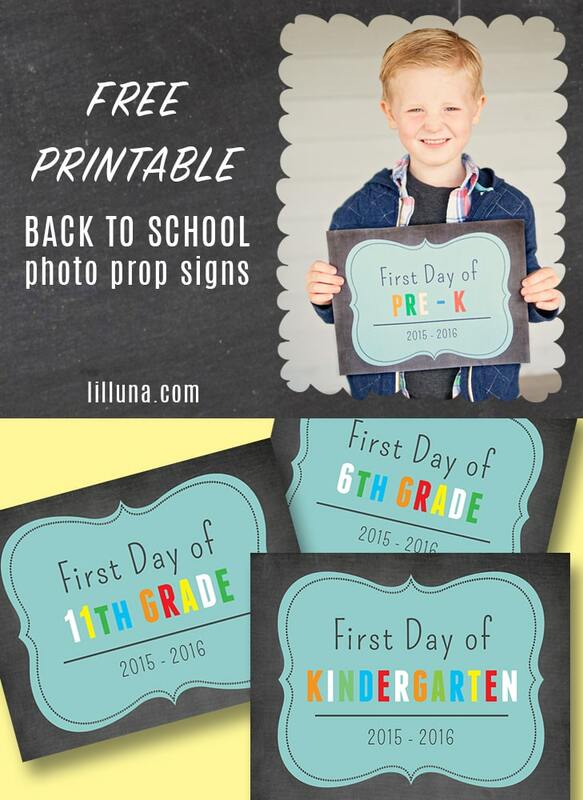 My kids will love the little goody bags and doing a Treasure Hunt. For more great ideas from her, be sure to head to My Belle Michelle. 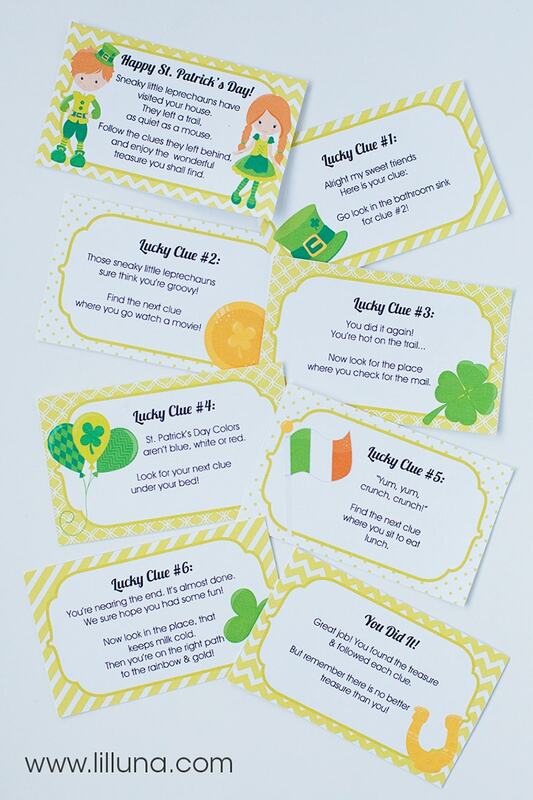 For all St. Patrick’s Day ideas on the site head HERE. 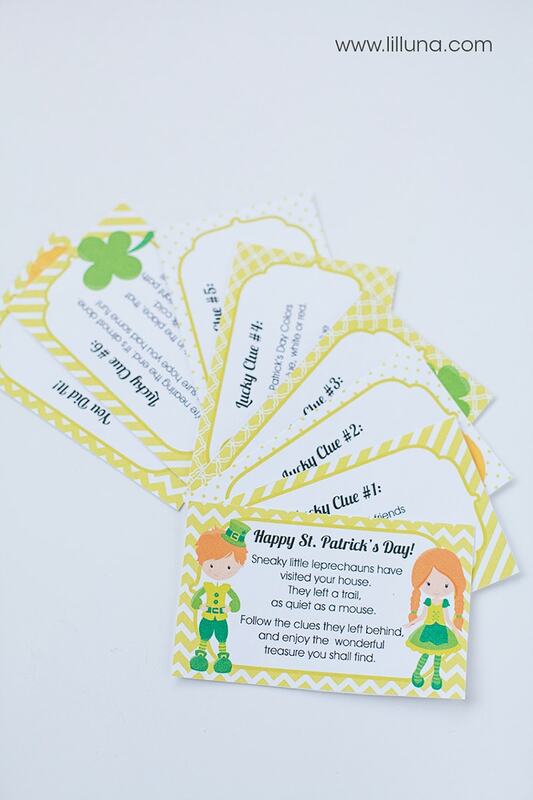 This is so cute and fun and it takes all of the planning work right out of St. Patrick’s Day. Thank you so much for sharing this with us!! My kids will love it!! What a fun game for the kids. Love it!! 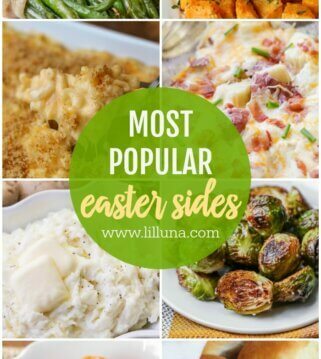 How Fun, this would be a fun game for Easter! 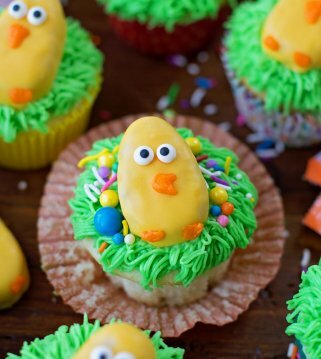 I love all these cute ideas..They would be great for some of our Virginia Scrapbook Retreats themes we make treats for. I am sooo excited to do your treasure hunt with my 4’s!!!! I am going to add some green popcorn to our pot of gold treasure!!! 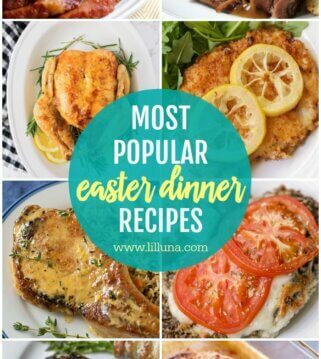 Thank you sooo much for sharing!!! That would be perfect!! Thank you for stopping by and have fun!